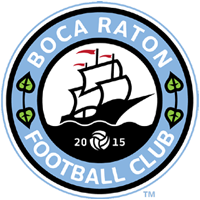 Boca Raton, FL – After breaking the APSL record for fans in a game, Boca Raton Football Club is looking to do it again on May 15th versus Miami Dade FC at The Shipyard. 519 fans packed The Shipyard to create an intimidating atmosphere for the opposing team and Boca Raton FC wants to make that the norm in Boca Raton. Boca Raton’s crowd of 519, was the second largest for a fourth division match in South Florida, which might not be much, but when you consider Boca Raton FC is a brand new club in its first season of operation, it’s a huge feat in of itself. #PackTheYard will be the official marketing campaign Boca Raton FC will use for its upcoming match on May 15. If you have not picked up your ticket yet, you can do so by going to www.bocaratonfc.com/tickets. Special only until Sunday, use the promo code PACKTHEYARD to receive FREE tickets to the game.